Small businesses that cater to local customers can benefit from a solid web presence. Even if you’re strictly a brick and mortar operation and not selling your products online, customers will expect your website to provide enough information to satisfy their curiosity and compel them to visit your location rather than your competitors’. Customers expect it to be easy to find out where they can visit you or reach out to you for more information. While that seems like common sense, according to a 2015 SCORE Association report, 27 percent of small businesses surveyed didn’t include a phone number on their websites. Nothing will aggravate customers more than driving out of their way to your location, only to discover your business closed early on that given day. Always post your hours of operation on your website—and update them immediately if you’ve changed your schedule. “A picture is worth a thousand words,” and customers will expect your website to give a glimpse of what they’ll see and what they can buy when they visit you. To ensure images are of good quality and reflect your business at its best, consider having a professional photographer take photos of your store/office and products. Customers care about what they will get, but they also care about how the experience of doing business with you will make them feel. Including customer testimonials on your website can help convey that. Photos and videos can provide an open window to the customer experience, as well. This gives customers a reason to visit your website often…and your business location. Always keep this content current. Otherwise, you’ll have unhappy customers when they come to your location expecting a deal that’s no longer available. This makes it convenient for (and encourages) your customers to find and connect with you on the social media platforms you have in common. A website that’s too cluttered with wordy content or that’s difficult to navigate can frustrate visitors and cause them to tune out. Think “user friendly” and don’t overcomplicate your website with pages and content that aren’t going to provide value to your customers. If you’re not sure about what customers care about or whether or not your website is too complicated, don’t guess. Talk to a few customers to find out. Just like your brick and mortar location, your website is an important piece of real estate for your business. Get the most from it by making sure it’s meeting your customers’ needs and expectations. If you need guidance about website best practices, contact us to talk with one of our SCORE mentors. Our mentors have knowledge and experience in all aspects of marketing and are here to help you grow your business. This entry was posted in website and tagged business website, social networking, website on July 25, 2016 by aliasimpson. There’s plenty in the process that can lead to confusion – you need to know how to set up your site to accept payments online, which processing fee structures work best for your needs, and how the payment goes from being submitted to making it to your corporate bank account. However, this is something that can be tackled easily, so long as you take the time to figure out what is best for you and your small business. 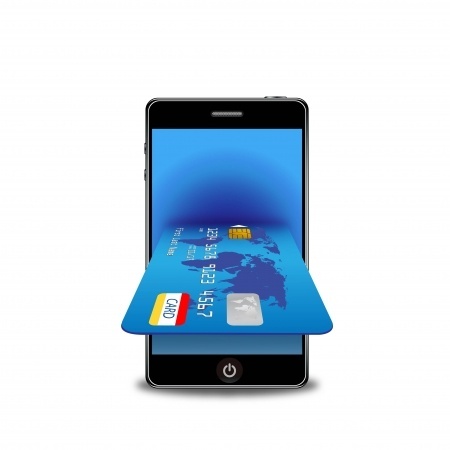 Here are some tips to help you boost your revenue by accepting credit cards online. Starting with the basics, your merchant account is very similar to your personal bank account, with the difference being in that your merchant account allows you to accept credit and debit card transactions through your company site. As your company still needs its business checking account in order to receive and spend your funds, it’s unlikely that you will create your own merchant account. Instead, you’ll most likely hire a service provider who will manage your payments and take care of the hassle. With a payment processing account, you sign a contract that gives the processor the permission needed to receive payments on your company’s behalf. Once you sign your contract, your payment processor will transfer all payments made to your company, minus a pre-determined processing fee. Upon entering into your contractual agreement, your processor will provide you with your company’s unique ID number, which will help them identify your account. If you don’t really know how credit card processing works, when you think of your payment gateway, think of it as the service which will begin the transaction and notify you about the transaction’s approval or denial. The payment gateway is what acts as your website’s credit card machine. So, to put it simply, your gateway is what will allow you to process a transaction, just like you would if the customer’s card was in your hand, ready to swipe. The payment gateway, which is provided in the form of virtual terminal software by some providers, is accountable for providing you and your customers with any settlement reports needed, for voiding transactions, and initiating refunds. Your company’s gateway processes customer information safely and securely, making sure your customers are protected against identity theft at all times. When you gateway completes address and GPS verification assessments, you’ll likely only contact your gateway with issues, as they remove the necessity to talk with your payment processor. You will need your payment gateway in order for your E-commerce system to interface with your payment processor. Your processor is the service provider that remains in communication with the bank which issued the credit card being used for a transaction. When the transaction is submitted through your website, it is moved from the payment gateway to your processor, which then requests the funds from the corresponding bank. After receiving the request, the bank will then perform credit checks, as well as various fraud checks, before deciding whether to approve the payment or not. Your processor then responds to the gateway, which relays the bank’s decision back to your E-commerce system. Your payment processor handles most of the work in getting the payment to your business account, and in doing so, they take on most of the risk involved with accepting payments through your website. That said, the approval process with a payment processor has been known to be one of the lengthiest processes in getting your company set up with the right tools to accept payments on your website. In order for you to successfully accept payments online, you need to have an establish way to sell your goods and services on your website. The easiest way of going about this is to create an E-commerce system that directly interacts with your payment gateway. Now, you may already have a properly functioning E-commerce system, you need to take some time to research the payment gateways that are compatible with your company’s system. While unfortunate, not all payment gateways are set up to work with each type of E-commerce system, so you’ll find that your options are limited to those compatible with your company’s system. However, if you sit down and take the time to research your options, you can save your company thousands of dollars a year in payment processing service fees. While this isn’t the easiest process in the world, we all want to increase our revenue however we can, and there’s no greater way than to make it as easy as possible for your customers to buy your goods and services. Take into account, that if a provider makes it almost too easy to accept credit cards than the competition, they are likely to charge you an arm and a leg in processing fees. There are plenty of wonderful options available to help you achieve the success you’re currently only dreaming of. Bradley Derringer is a blogger for TechBreach, giving you the latest on all things tech. This entry was posted in action plan, goals, website and tagged accept credit cards online, boost revenue, increase revenue on August 29, 2013 by bradleyderringer.